The holiday season won’t be over without listening to carols and seeing Christmas lights decorating the streets of the Metro. 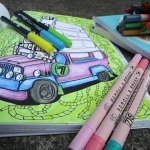 But there are spots when there’s really nothing to do but wonder at the lights sparking brightly at night. 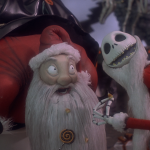 While it’s always up for discussion if it’s just a waste of resources, wouldn’t you agree that the season would be a lot less fun if there are no lights adorning houses and trees? Buildings and streets? While some exert all the effort in putting up the grandest Christmas trees, some establishment go all out and turn an entire space into a Christmas miracle. The Ayala Triangle Gardens comes to life this Christmas season from 6 p.m. to 9 p.m. with 30-minute intervals for its Lights and Sounds Show. For a couple of years, the garden has been a favorite destination during the holiday for its splendid display of Christmas lights. On December 20, Festival Supermall will celebrate the grand opening of the River Park which will sparkle with 200,000 lights this Christmas season. Starting at 5 in the afternoon, there will be musical performances from Ballet Philippines, La Salle Green Hills Kundirana and Rachel Alejandro. Visitors are also treated with the spectacular Holiday Musical Light, which runs daily until December 30, from 6 p.m. to 9 p.m. with 30-minute intervals. 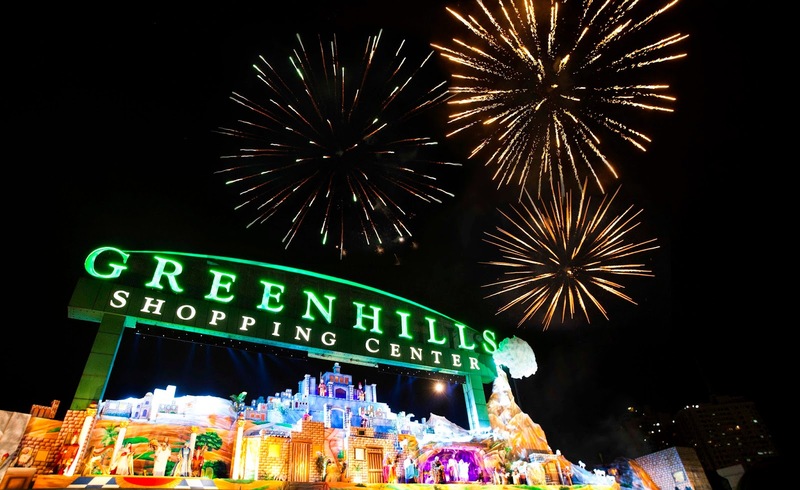 Year after year, Greenhills provides a large-scale Christmas on Display, with fireworks to boot. 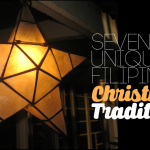 For this holiday, the theme is “The First Christmas,” where moving mannequins showing the birth of Christ are displayed until January 4, 2015. To add more spice to the festivity, there’s also a Christmas night market to extend your sight-seeing. 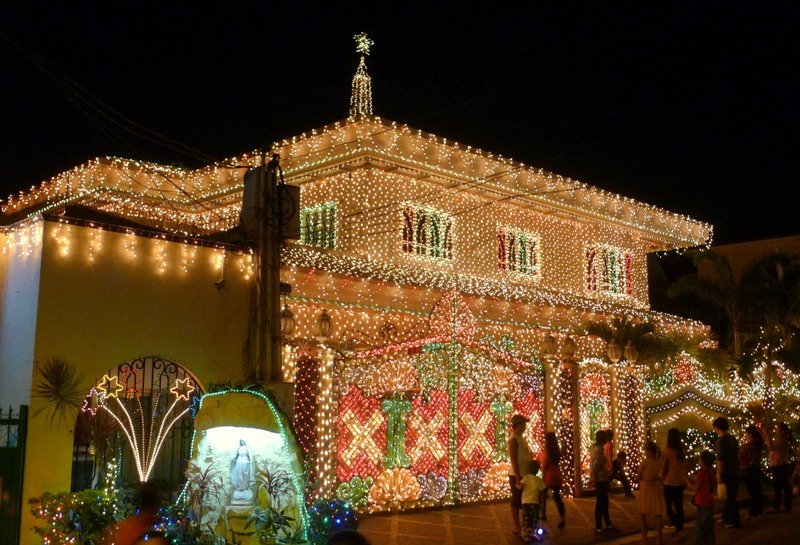 Every year, the neighborhood of Policarpio Street becomes a tourist attraction at night as every house lights up during this Yuletide season. 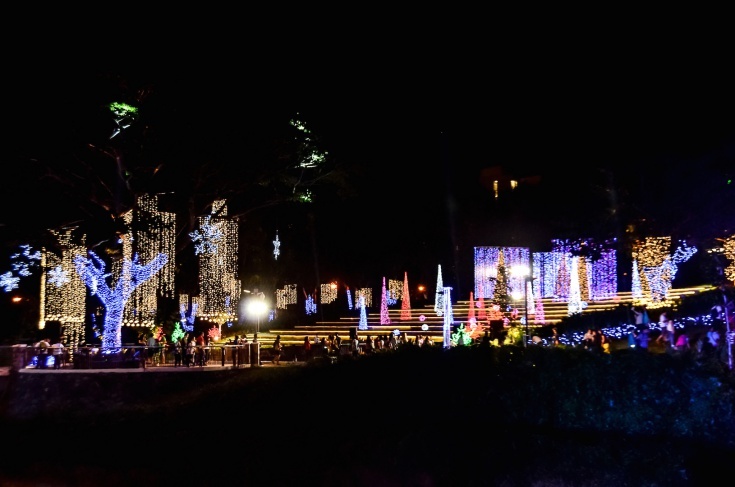 The residence area is open to tourists from 6:30 p.m. to 10:00 p.m. Decorations range from life-sized Santa Claus to thousands of Christmas lights to Nativity scenes. 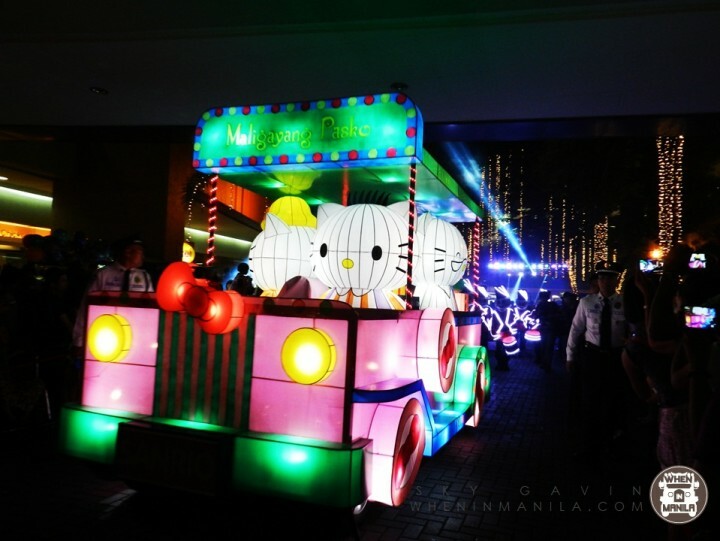 SM Mall of Asia’s Christmas parade every weekend is back again. This time, Hello Kitty and the gang are joining them. Every Saturday from November 29 until Christmas Day, the Grand Festival of Lights will have a procession from the North Arcade and end at the SM MOA By the Bay, with fireworks to end the parade. There’s also the Pyromusical Weekends at 7 p.m.
Do you know other must-visit Christmas spots in and around Metro Manila? Tell us in the comments below!